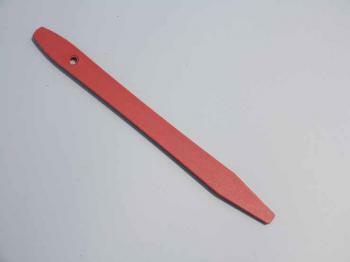 Car Window Film Tint Tool Red Gasket Push Sticks, also named Dog Bone, is used to push down the gasket on automotive roll-down side windows. So that the installer can push the window film completely in behind the gaskets. Gasket Push Sticks are favorite among professional auto window tinters. Designed with long and thin feature, this car window plastic bone tool is easy to focus pressure of the fingers, making tinting job fast. It still can be used for bubble push in the rear deck, windshield area or very tight corners in port windows.